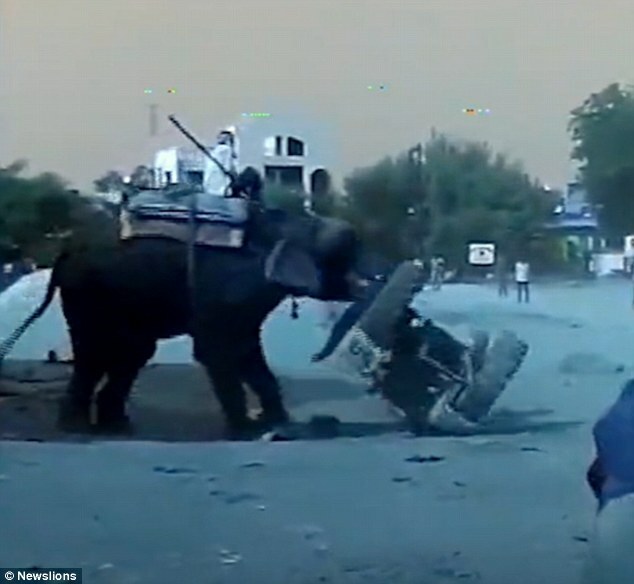 A temple elephant went on a rampage in India pushing over and flipping a tractor whilst terrified residents looked on. 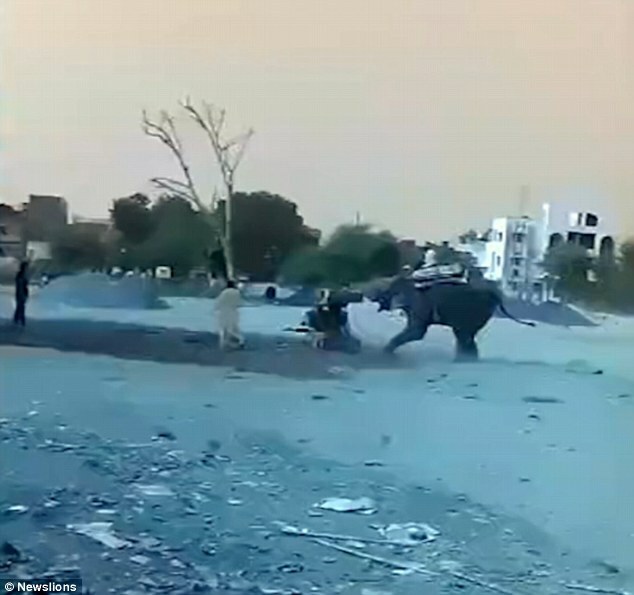 The elephant, who was brought to a vet after being bitten by a mad dog, went out of the control after being administered an anti-rabies injection. 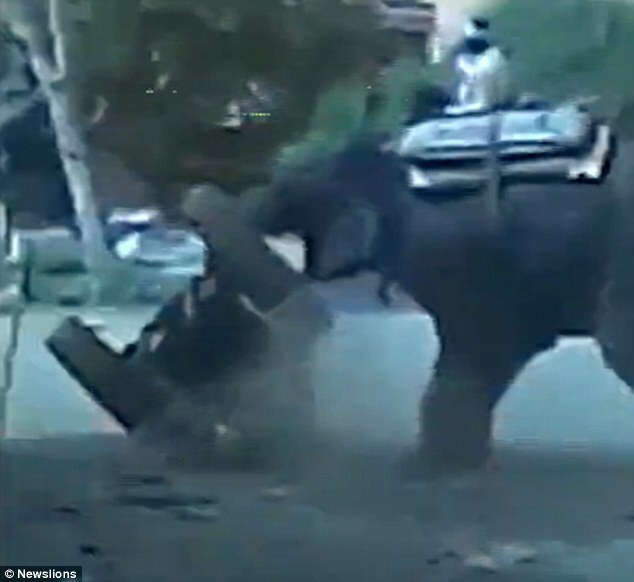 Despite the best efforts of one of its brave mahouts in trying to stop it, the elephant continued to show its anger with him still sat on his back. 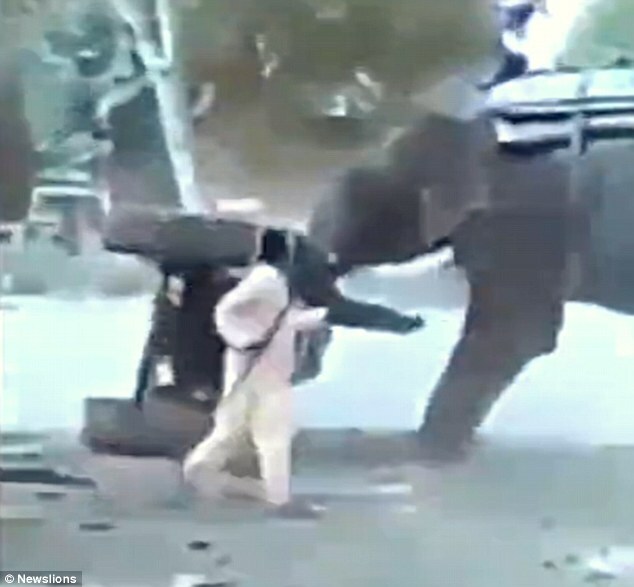 The mahout tried to rein him in with the iron pointer, but to no avail. 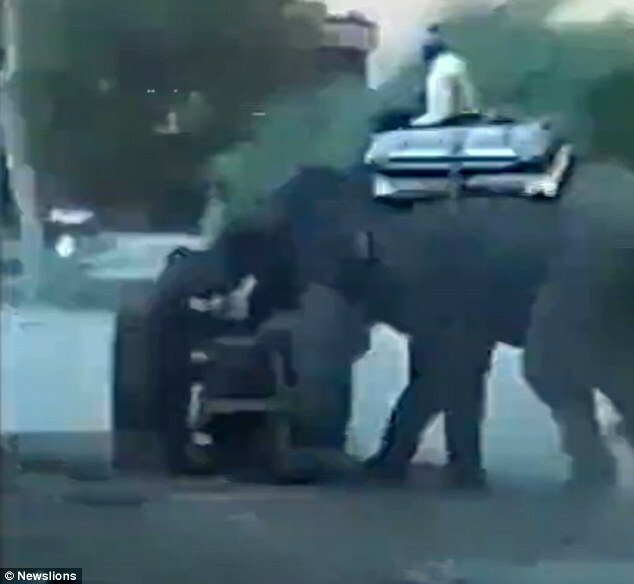 Eventually, the elephant was chained. It is believed it is going to take around 15 days to get normalized.